My late mother, Letty Evans, wrote about her life for many years, so her legacy of writings goes back to the early 1900s. This blog features her writings, not always in chronological order. Edits, including some of my own comments and memories, appear in italics. All content including photos is copyright by Ann Griffin, unless otherwise indicated. Letty lived from August 27th, 1913, to December 24th, 2014. 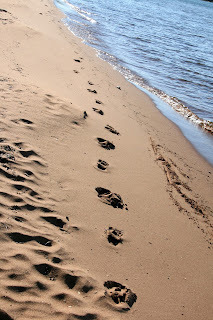 Anyone who has walked barefoot by a river, lake or sea, has left their footprints in the sand, mud or rocky shore. By a river, where I grew up, it was a rocky shoreline, of the South Saskatchewan River. 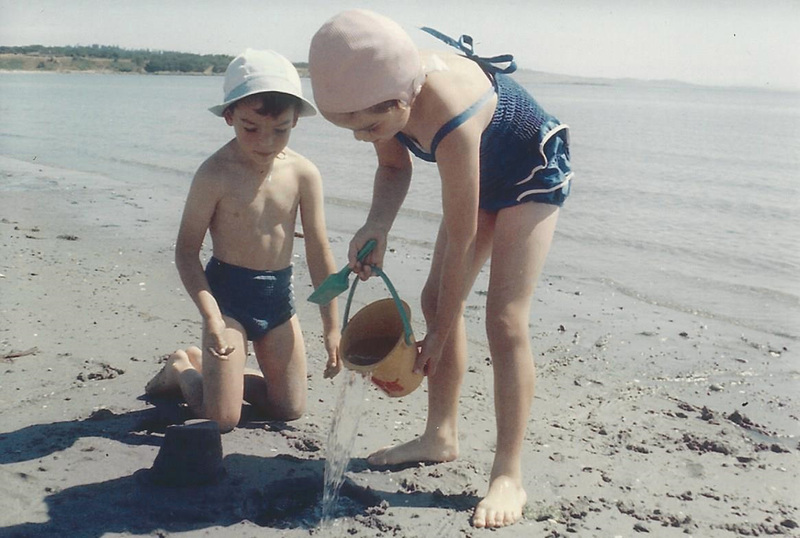 Some places were a treasure and sandy, and you automatically rubbed your feet in sand. It must be a natural thing to do, comforting, hot and soft and a fine feeling of peace invades your soul. Lake beaches are (in summer) covered with people, all wanting that refreshing feeling, warm sand supplies, and we soak up. Kelowna and other lakesides are like that, warm and replenishing to the body. Now, the seashore beaches are very different, because waters there are salty, very controlled by the tides, and some beaches are miles long and very, very attractive and inviting. Here the sand is deep, warm and delicious. We leave our footprints in it, sleep on it, camp on it, and love it, and hope the tide won't wash our patch of paradise away. But it will and does. 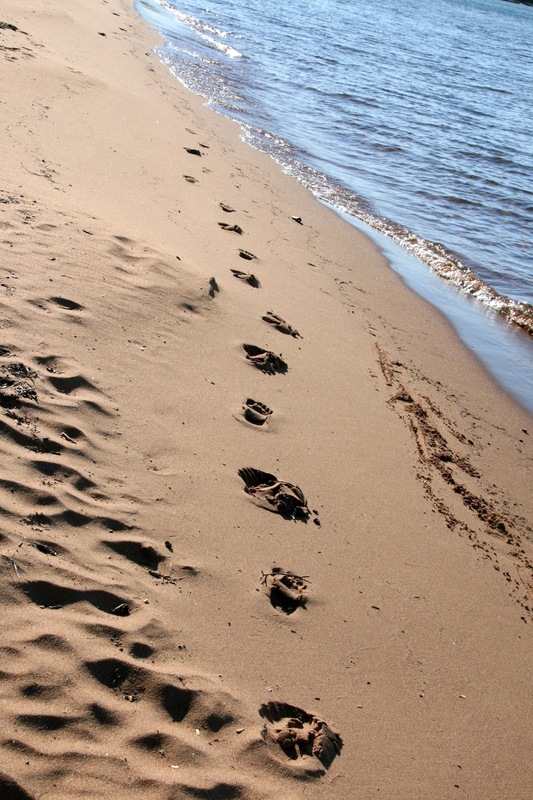 Our footprints, gone forever and we have to remember, our footprints on sand are like life in general, here today, gone tomorrow. So enjoy those sandy visits to the hilt. Those are our footprints of time. It is good therapy for our feet too. Enjoy it. My View #144 - The English Language? My View #164 - It is Hot! Copyright by Ann Griffin, 2015. Ethereal theme. Powered by Blogger.